Happy birthday, to Jesus be all honor and praise! guided by a shining star. Is there any special gift I can bring my Lord today? He gave all when he left heaven to be born a little babe. thank you for your shining light. thank you for eternal life. thank you for your love and grace. 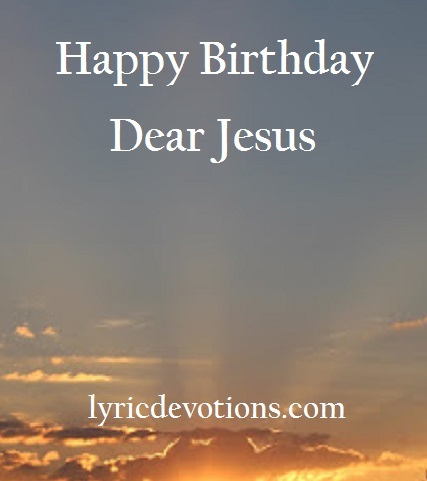 Happy birthday to Jesus be all honor and praise! now I offer them to you. May I use all that you give to bring glory to your name. Lord I pray that I will always seek your light to guide my way. Glory to your Holy name! How lovely! Thank you for sharing your gift. Thanks Kathi! Glory to His holy name!